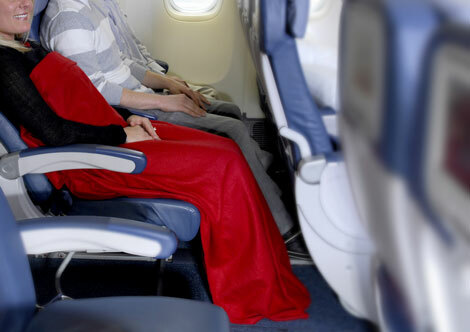 As reported by Business Traveller last year (see online news November 4, 2010), Delta is to launch a “premium economy” product this summer, featuring extra legroom and recline similar to the KLM offering of the same name. The Economy Comfort zone will be installed “in the first few rows” of the carrier’s economy cabins on over 160 of its Boeing 747, 757, 767, 777 and Airbus A330 aircraft. As the name suggests, the new offering is an upgraded economy product, rather than a fully blown premium economy seat. The offering is comparable with KLM’s Economy Comfort offering, which makes sense as Delta has a joint venture partnership with the Air France KLM group on transatlantic flights. The seat will feature up to four inches (10cm) of additional legroom, and 50 per cent more recline that Delta’s standard international economy seats. Travellers will also be able to “board early”, and will enjoy complimentary spirits in-flight. Passengers can upgrade to the quasi premium economy product by paying a fee of between US£80 and US$160 each way, depending on the length of the flight. Reservations for the new seating will begin in May, for travel “this summer”. Again similar to the KLM product, premium Diamond and Platinum Medallion SkyMiles members will get free access to the Economy Comfort seating, while Gold and Silver Medallion members will receive 50 and 25 percent discounts respectively. In other news Delta says it will offer fully flat bed seating in business class on all of its international widebody flights by 2013, with 34 Business Elite seats being installed on its 32 Airbus A330 aircraft. For Business Traveller reviews of Delta’s Business Elite product, click here. For more information visit delta.com.